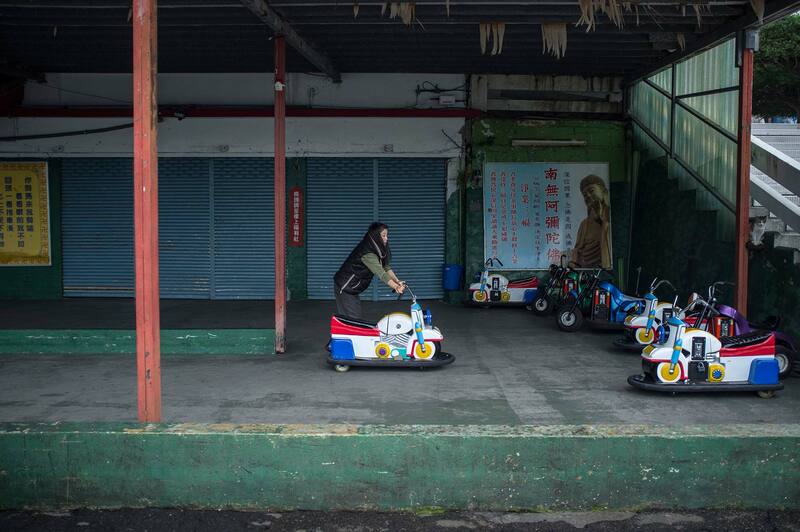 After Taipei I was making my way to Jiufen, a small town in the north of Taiwan, but en route I decided to visit the relentlessly rainy and sad place that is Keelung City. On the way I came across the most gigantic building I have ever seen. The structure consisted of grouped residential blocks, forming a huge dystopian pyramid. This could be the answer to the question of how to settle a large number of people in one place. 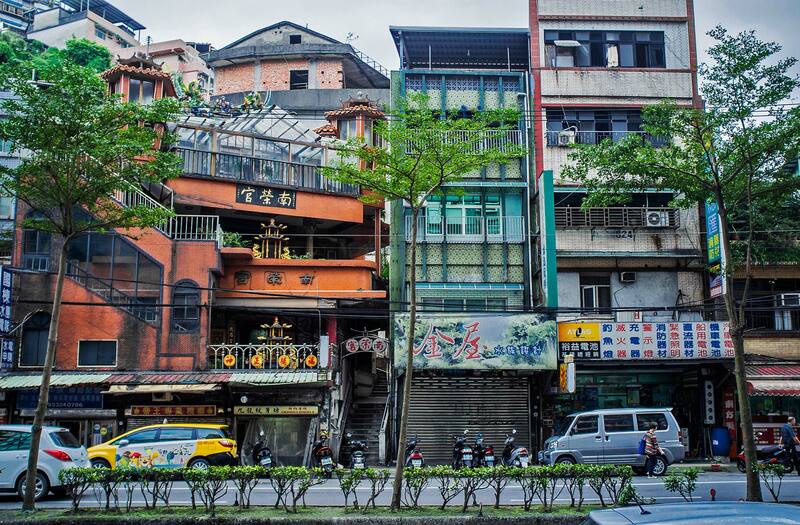 So far I have seen similar buildings only in a few cities in China. 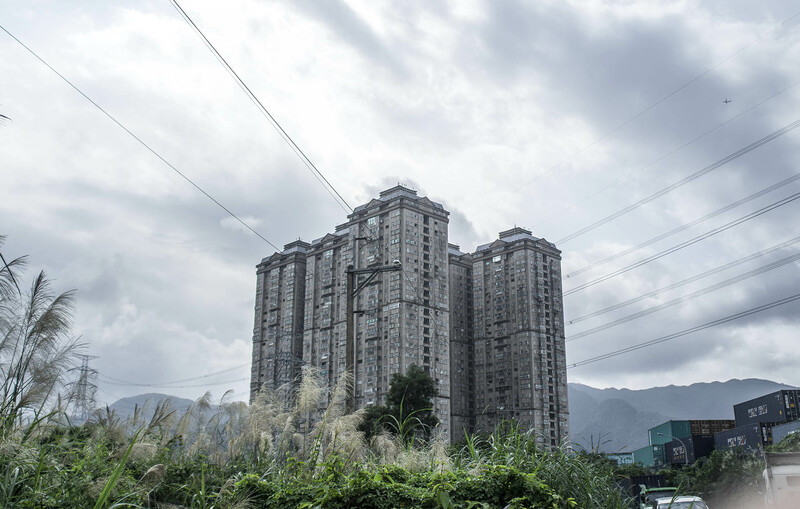 Gigantic residential block a few miles away from Keelung City. 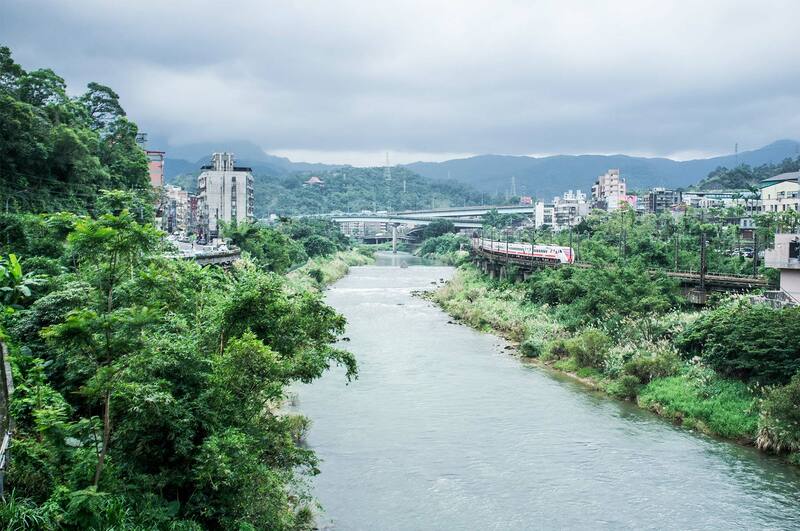 Keelung’s abundance of greenery mixes with concrete building facades, roads and bridges, creating scenes reminiscent of Jurassic Park. Road signs and a mouldy convex mirror. View of the intertwined highways and the river from Keelung Bridge. 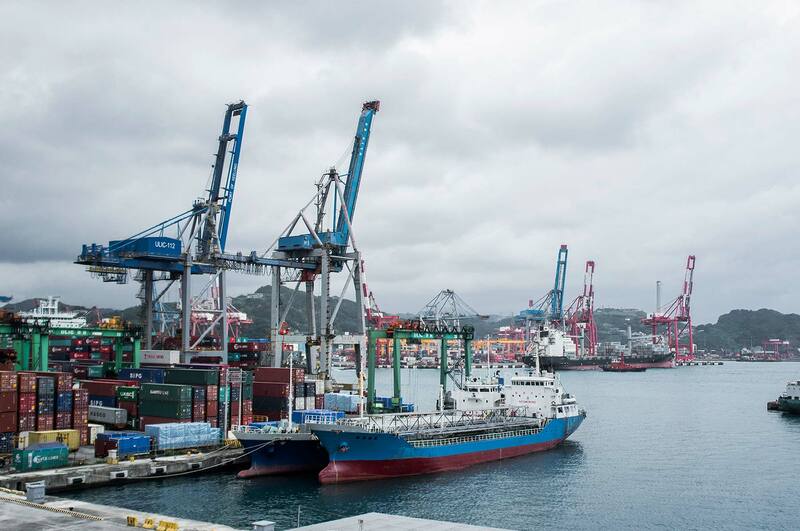 The port in Keelung is the one of the biggest in Taiwan. Residents here primarily work in the port, as fisherman, or as sellers in the city market, as such poverty here is common. 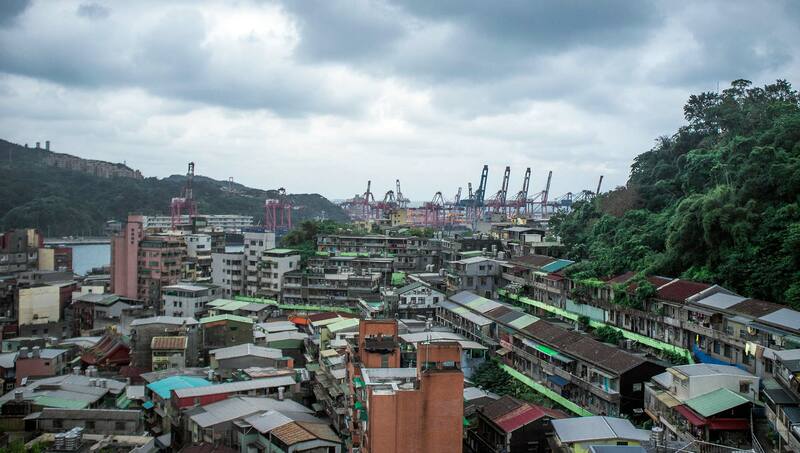 I had heard that it was a port and fishing city and that it had a lot of abandoned housing and forts, left there by the Chinese during the Opium War against the British and French. I looked hard, but unfortunately I didn’t find any. Most other housing in the city is covered with stains. Main road to the city. 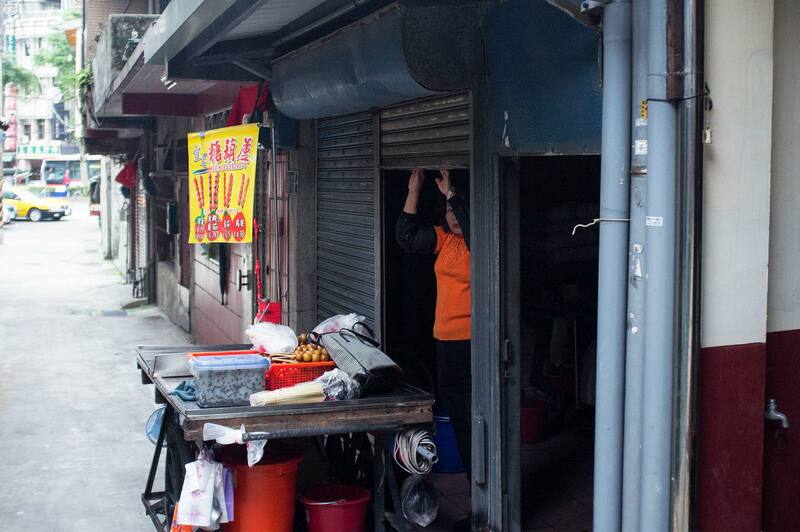 On seeing a white man with a camera, local shop owners close their businesses. Have no idea why. Because the city is surrounded by hills, most of the houses are built on hills too and there is often only one road and staircase to reach the houses. 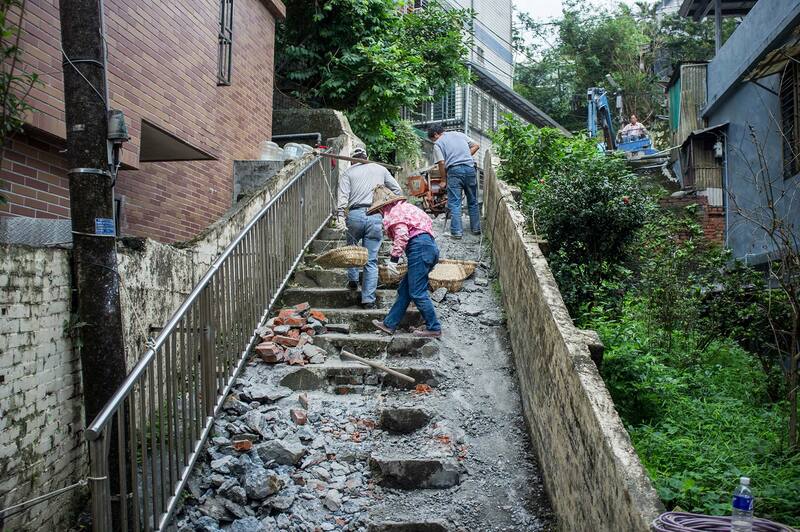 Because the staircases are in constant use by the residents, they cannot be entirely rebuilt in one go. So one half of the staircase is constructed with the other half left to be fixed in the near future, or maybe not at all. Local workers demolishing part of the road. Along with the faded architecture I also noticed dozens of homeless dogs. 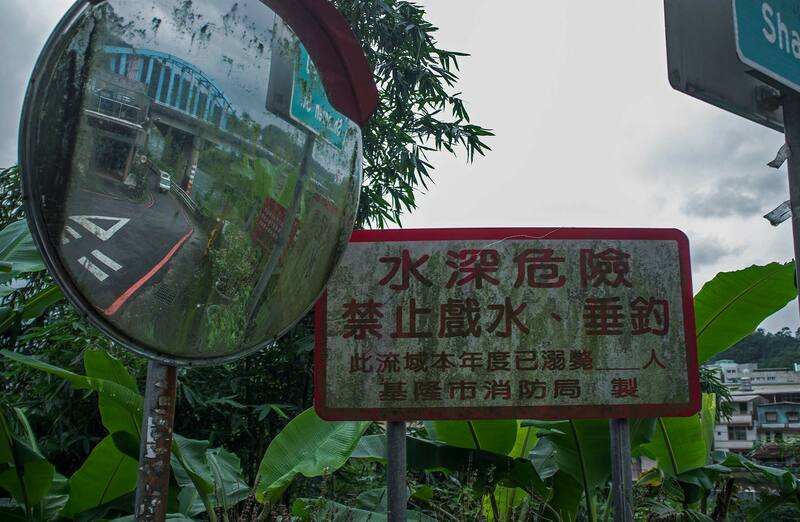 In spite of the fact there is a Dog Temple established 60km away from Keelung, the Taiwanese government has an appalling reputation when it comes to dealing with stray animals. 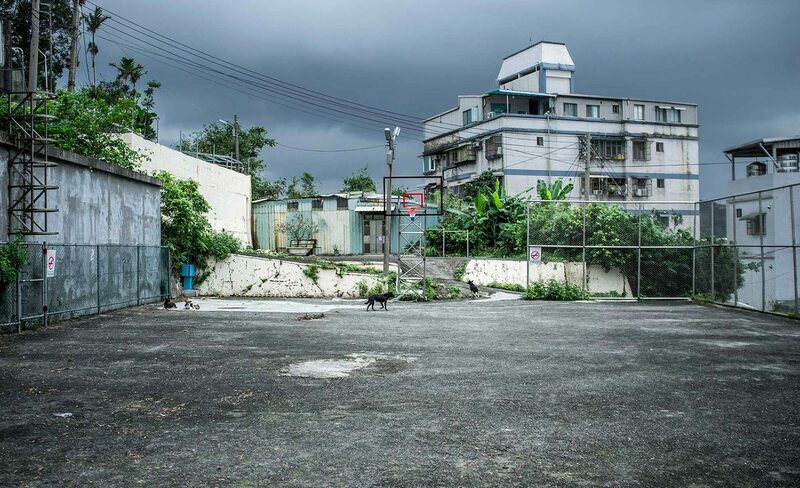 Basketball court with stray dogs. Dogs here still live as they were living thousands of years ago – eating garbage and running away when they see humans. 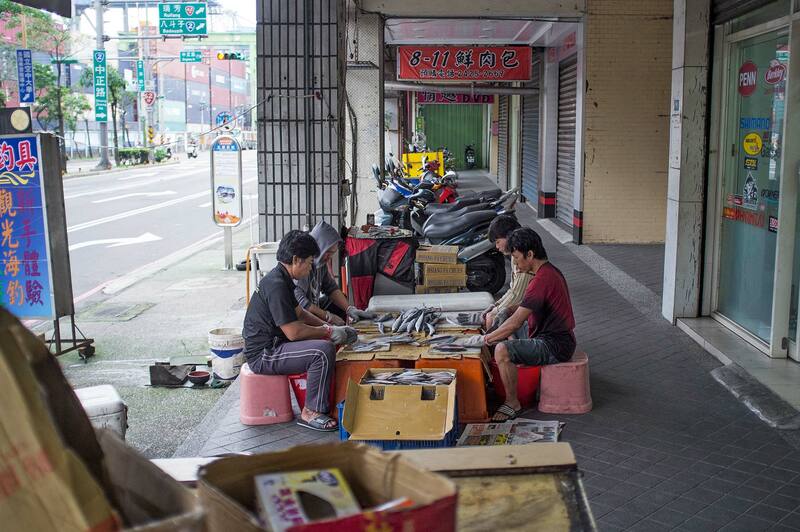 While the city’s main income today comes from import and export, local fishermen still play a big role in the city’s economy. Fresh fish is brought to the local shops and markets in the mornings, where by noon it is prepped ready for sale. 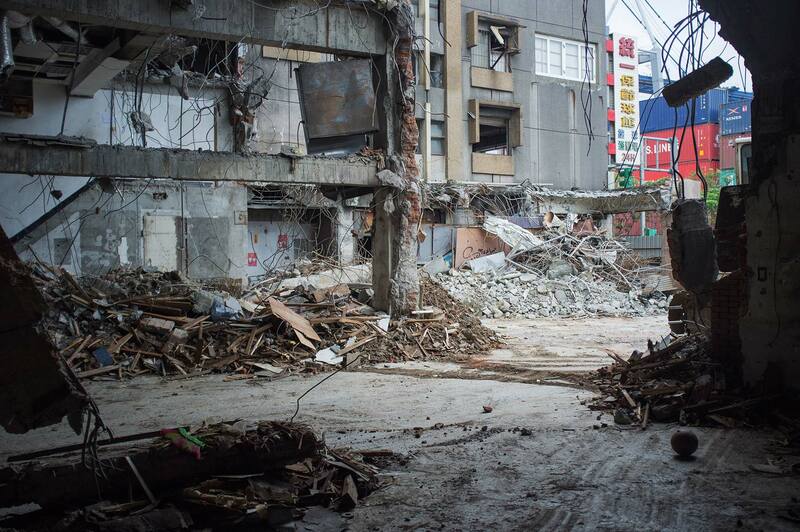 In Keelung there are many abandoned construction sites, as well as broken bridges and residential blocks. Often these structures aren’t even fenced off from the public. This one was surrounded by a fence…but the door was open. The abandoned construction site provides the roof for the homeless, it smells of poop and rotting flesh, probably of the homeless animals. As I was passing some houses I noticed an open door to a roof from which I saw the view over the city and the port. 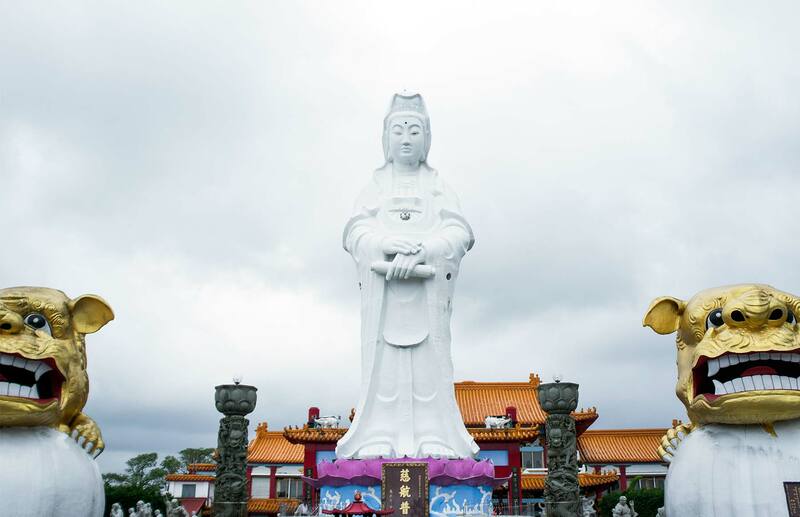 The 25 meter statue of Goddess Guanyin on top of Chung Cheng Park is considered to be the biggest Goddess statue in Southeast Asia and is the most renowned place in Keelung city. Renowned not only for the statue but also for its cleanliness in comparison to the rest of the city. Goddess Guanyin in between two weirdly happy looking lions or dogs. Still haven’t figured it out. This site was pretty quiet except for me and one more family with a kid, after which a woman was moving the car back into place. 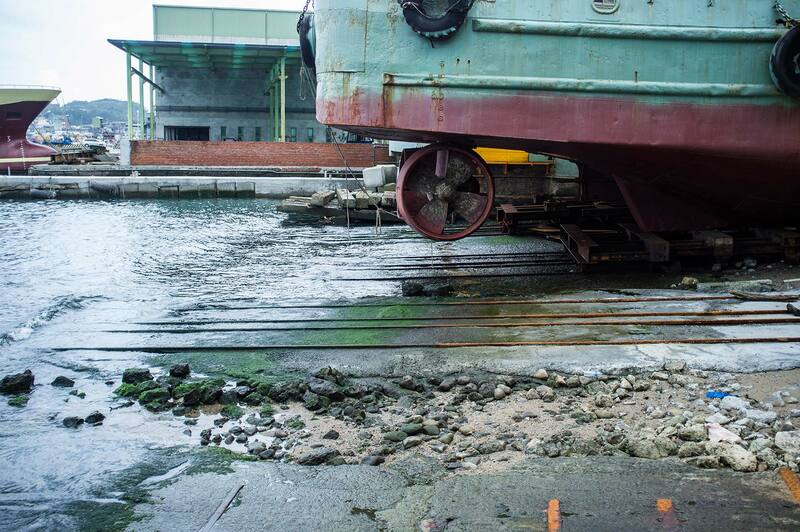 A ship that was never repaired is left to rust on the rails in the old dock. Ok, so it was time to leave this place before it started raining, as this city cries as often as its residents and dogs. A closer view of the port from the roof. 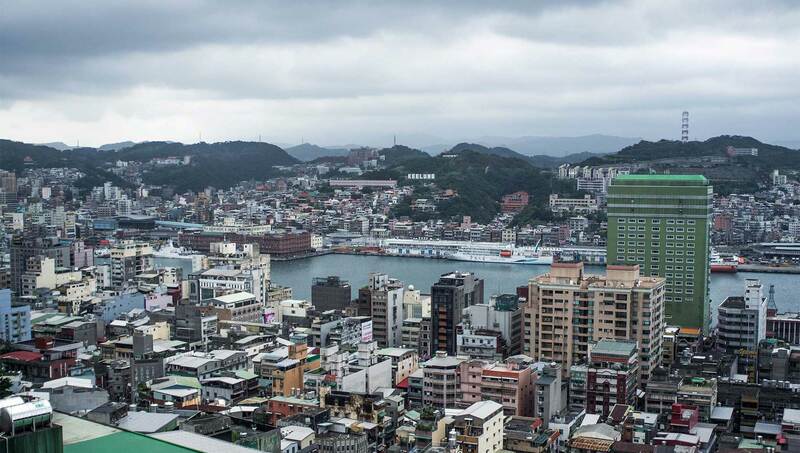 Looking over the Keelung Port.